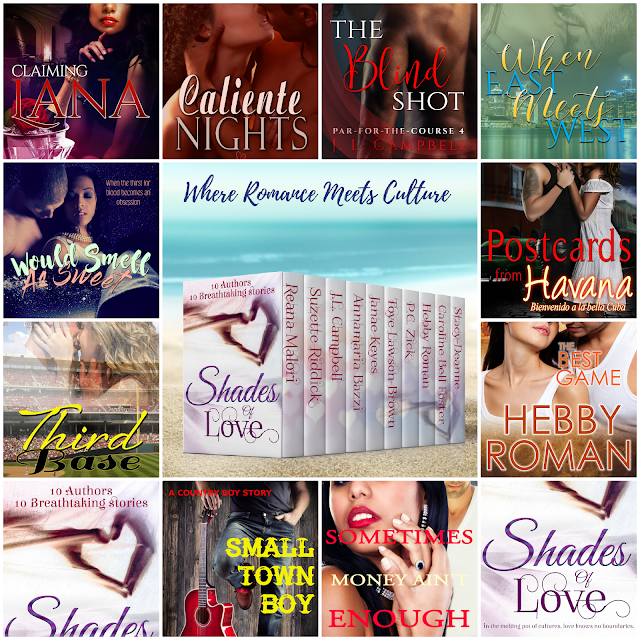 Ten select romance writers have combined their skills to bring you ten stories of couples from various cultures. These tales are set in various corners of the world and are designed to demonstrate that love will find a way, no matter our creed or culture. Please support our set. The cost to you is only $0.99. You can pre-order by going to lrd.to/shades-of-love. And you are one of them - that's awesome! Yes, awesome! A huge congrats!